The government's tax avoidance promises are an important part of their impression management, but have rarely delivered. After the Panama leaks, the Conservative government is desperately trying to portray itself as the scourge of organised tax avoidance. It is consulting on draft legislation which would introduce a new corporate criminal offence of failure to prevent the criminal facilitation of tax evasion. Such promises have become part of impression management, but have rarely delivered. A good case study of the smoke and mirrors tax avoidance policies is the government’s much trumpeted Guidance on Promoting Tax Compliance and Procurement. These rules came into effect on 1st April 2013 and were meant to ensure that organisations engaged in tax avoidance/evasion are barred from securing public contracts. Of course, that would upset the government’s wealthy backers and giant corporations. So they were designed to be inadequate. They applied only to central government contracts of above five million pounds. The rules do not apply to local government’s £12 billion procurement or other public bodies. They are only asked to look at the practicality of applying the government’s guidance. The rules require bidders to self-certify whether during the previous six years they have had any ‘occasions of non-compliance’ i.e. whether they have submitted an incorrect tax return because of their engagement in tax evasion. If so, the bidder is asked to submit an explanatory statement and offer mitigating factors. These could be: ‘we are under new management’, ‘culprits have been fired’, ‘we have learnt lessons and are now a new reformed organisation’, etc. This self-certification only applies to the company bidding for the contract and not to the entire group of companies. Thus, one subsidiary could be engaged in tax evasion whilst another can bid for the public contracts. None of the documents are publicly available and thus cannot be scrutinised by citizens. The rules do not require the government purchasing departments to verify the claims made by the bidder. In any case, the chances of a resource starved business friendly HMRC securing a tax evasion conviction against a major corporation are miniscule. HMRC’s staff numbers have been declined from 91,000 in 2005 to about 56,000 in 2015, and further staff cuts are planned. HMRC’s financial resources have also been cut in real terms, even though investigating tax avoidance is a resource intensive task, especially when the other side can marshal armies of accountants and lawyers. Cases can drag on for a decade or so before being resolved. By its own admission, HMRC claims to have the capacity to investigate only about 35 wealthy tax evaders a year. Unsurprisingly, the House of Commons Public Accounts Committee concluded that HMRC is not ‘sufficiently challenging of the manifestly artificial tax arrangements of Multinationals’. The Committee also noted (see page six) that since 2010, there have been only 11 prosecutions in relation to offshore tax evasion. The leaks by Hervé Falciani showed that HSBC’s Swiss banking arm helped wealthy customers dodge taxes. 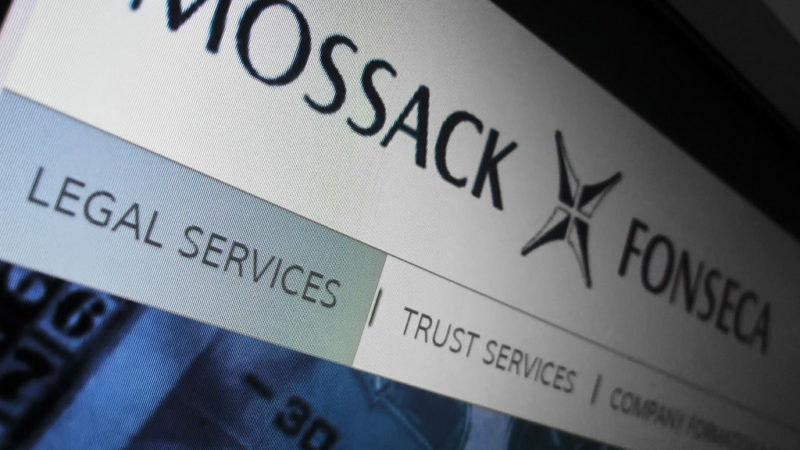 The leaks provided inside information about some 3,600 potential UK tax evaders. This resulted in only one UK prosecution. In January 2016, HMRC admitted that it had closed its enquiries into the alleged role of HSBC in tax evasion. In recent months, the UK Supreme Court has declared Deloitte inspired tax avoidance schemes for UBS and Deutsche Bank to be unlawful; and a KPMG tax avoidance scheme for transport company Stagecoach was also declared to be unlawful. There is no evidence to show that any organisation has been banned from securing public contracts. A government press release, dated 26 August 2014, stated that: ‘Of the 65 bids applying for central government contracts of five million or more, one potential bidder failed the overriding mandatory procurement test. This failure, however, was due to the bidder being unable to provide and deliver services that would fulfill the procurement department’s contract, rather than an issue of whether or not they were tax compliant. The remaining 64 potential bidders declared that they had been tax compliant.’ The Treasury has refused to provide any further information. The post-Panama leaks legislation fails to address any of the above issues. Much of tax avoidance/evasion comes to light through whistleblowers, but the proposed legislation does not address how they are to be protected from punitive employer action. It totally ignores the role of big accountancy firms in designing clever dodges and imposes no penalties. Such dodges enable companies to declare higher profits and directors to secure higher performance related remuneration, but there are no proposals for claw back of executive pay. The public clamours for a strong government action on tax avoidance but the government continues to appease wealthy elites by concocting weak and ineffective laws. Insurance and which appeared on every letter and tax return I had on file for 25 years, no longer belonged to me but to a woman in South Wales. Two inspectors visited my home on six consecutive Saturday’s and still they refused to disclose their source of their alleged tax avoidance/evasion. This incident probably cost HMRC more than the nonexistent tax they were claiming. It seems HMRC would rather chase minuscule sums than go for the big fish in the tax pool. I have a letter from a manager at the Inland Revenue confirming l and the vendors before me had paid Stamp Duty Land Tax on the whole acreage with my registered title. Yet the scale of money laundering that our Land Registry Offices have involved themselves in that includes using legal aid paperwork of people that actually do not own the involved properties / land , these documents pertain to. Often these amounts are minuscule and designed as a flag to follow the properties / land involved , done by ” allowing ” a different address for service being lodged , that hides everything from the ” proprietary owner” . As an example in my own case the legal aid amount was for £ 50.00p, being the fee for securing a charge lodged in the ” caution register” , and it not being a charge relating to me. When l did have cause to have legal aid that was paid off when it became due , by my mother, over £6,900.00p of her money was credited to the account of the person receiving the £50.00p legal aid to fund putting a caution against property and fifty – acres of prime agricultural land already registered to me, and that l and the vendors paid SDLT on. Even after the involvement of two judges and written promises by both Land Registry and Legal Aid ( Legal Services Commission / Land Charges) in December 2003 , this ” legal aid charge of £50.00p for someone else” was allowed to continue and surfaced again in February 2007. Once again l was told it had been corrected as it was obviously an error. Then on 26 th July 2007 , Land Registry allowed another involved party ( there are five in total) , to lodge a claim to my already confirmed to be registered land , that l was not made aware of until 9 th September 2007 and four other affected parties were not informed of. This was most remiss of Land Registry as on the 25 th July 2007 there had been an Adjudication against literature Land Registry had sent out to the UK Public being misleading in the very same areas involved with the claims against my registered title. Gurmale Sondh ( Information Officer at Land Registry ) , has confirmed via the ” whatdotheyknow” website that over 6,500 cases were referred by Land Registry for judicial involvement without being provided with the details of the ASA Adjudication of 25 th July 2007 . Likewise The Adjudicator to HM Land Registry sent out misleading information to the UK Public , being the same misleading information on their own website , that was confirmed in late October 2009 by their Kevin Sadler at the AHMLR. The true figure for depriving true owners of their properties / land is thought to be in the region of over ONE MILLION CASES. This figure is arrived at using the “guidelines / timelines” of the various actions put in place to allow what has happened. Postcodes have been in full force since 1974. Yet the allowing of an ” open register” at Land Registry by our government in 1990 that failed to challenge the serving of incorrect addresses for nineteen years and it being exposed by BBC Radio 4 in late March 2009. Also there was dematerialisation of charges on 13 th October 2003 to run with the bringing in of The Land Regiatration Act 2002 ( LRA2002)in its full force in October 2003 and the setting up of the AHMLR . This meant if you were lucky enough to track down the miscellaneous paperwork to do with the ” errors/ mistakes” , it would be redacted of any useful information and would appear as if a ” work in progress”. In the Police Reform Act 2002 , anything to do with property / land , was taken away from the jurisdiction of the Police , in effect to run with the LRA2002 and supposedly ” registration” being the very protection that meant there was no need for police involvement as in theory everyone would know who owned what. There was a very narrow gap that cases could be referred for police involvement , if it was thought documents had been ” altered” , making matters ” void or voidable” , hence issues tipping over into ” contract law”. This gap was closed as it is now excepted that Land Registry are allowed to reply on the lodging of copy documents , even when the original documents prove these copies to be false. Such is the self protection and the failure to admit mistakes , even when there is lengthy records of evidence to support the orcastrations between Land Registry / Legal Services Commission / The Adjudicator to HM Land Registry / HMRC. Whilst there is no redress to be obtained in the revolving doors of the complaints processes , l have been able to secure two rulings by The Independent Police Complaints Commissin , for seemingly the same issues , or the ” non- action” of those issues by one Chief Constable , that l now need to obtain ” legal advice ” for. I am told if these issues are proved , it amounts to ” serious misconduct issues” against the Chief Constable involved. As Dame Julie Mellor once said ” there is no joined up approach” . 2 Thanks for all these useful – looking references. Will use the one on HMRC numbers (George Osborne answering a question from Angus Robertson – ‘we have spent 300million (iirc) more on HMRC in this last year’ or words to that effect. And I thought hmmmm that is not the whole story aka that is not the truth.